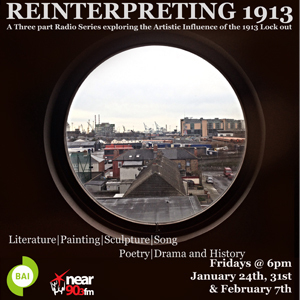 Reinterpreting 1913 is a Sound and Vision funded radio series which explores the artistic influence of the 1913 Lockout in Ireland. 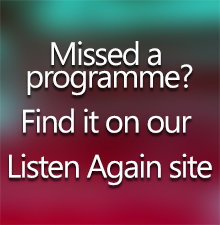 It begins Friday 24th of January at 6pm and runs for 3 weeks (January 24th, 31st and February 7th) on Near FM. The series looks at the influence that the industrial dispute had on several different artistic disciplines from Literature and Song to Poetry, Drama and History. It explores both well known texts such as James Plunketts “Strumpet City” to contemporary art pieces created by community groups in response to the 100year commemoration of the Lockout. The series is made with the support of the Broadcasting Authority of Ireland Sound & Vision scheme, funded by the Television licence fee.